The Mr. Sleek Toiletry Bag comes in three different colors; we selected pink, and we use it to hold makeup and beauty supplies while traveling, going to the gym, or for makeup redo jobs if we are leaving for a social event directly after work. About the size of a purse, it is suitable for discretely carrying to the ladies room for a mid-day emergency beauty touchup (or total overhaul). 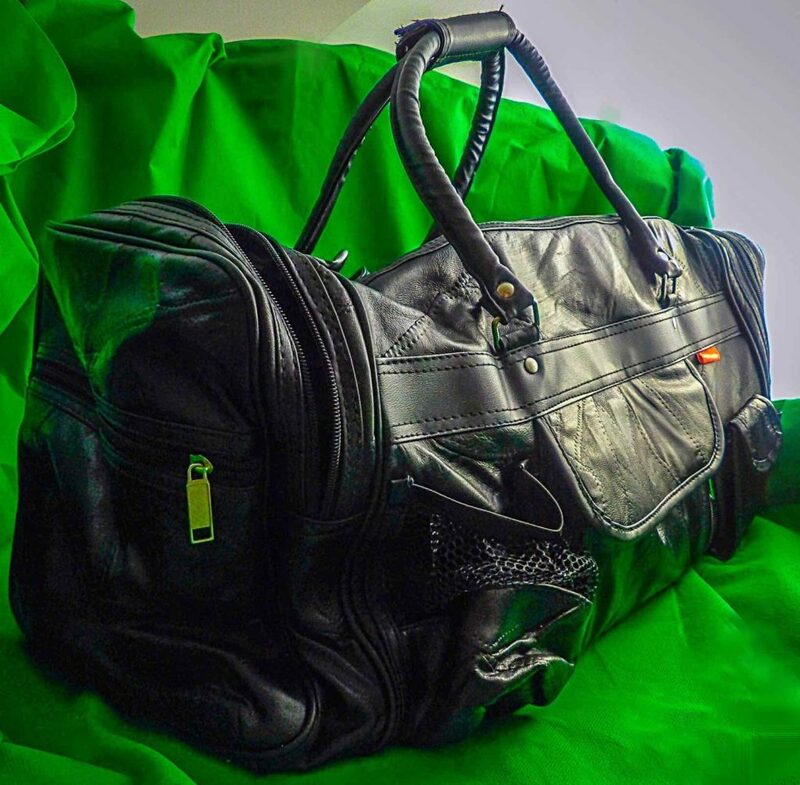 It is also suitable for using as a handbag/carryall for the gym to hold my jewelry, phone, wallet, makeup, and toiletries for taking a post-workout shower and styling my hair afterward. There are convenient pockets to hold my gym membership card so I can quickly swipe my card and get to my workout. There is a black plastic hook to hold it upright in place when used in a locker or bathroom, and a handle for carrying it. There is a fair amount of cushioning within the bag to keep items safe in transit. It is waterproof and leakproof, which is particularly useful when transporting multiple beauty products that could cause a mess in your suitcase. The bag comes with a black eye mask and earplugs, suitable for use to get some sleep while traveling. 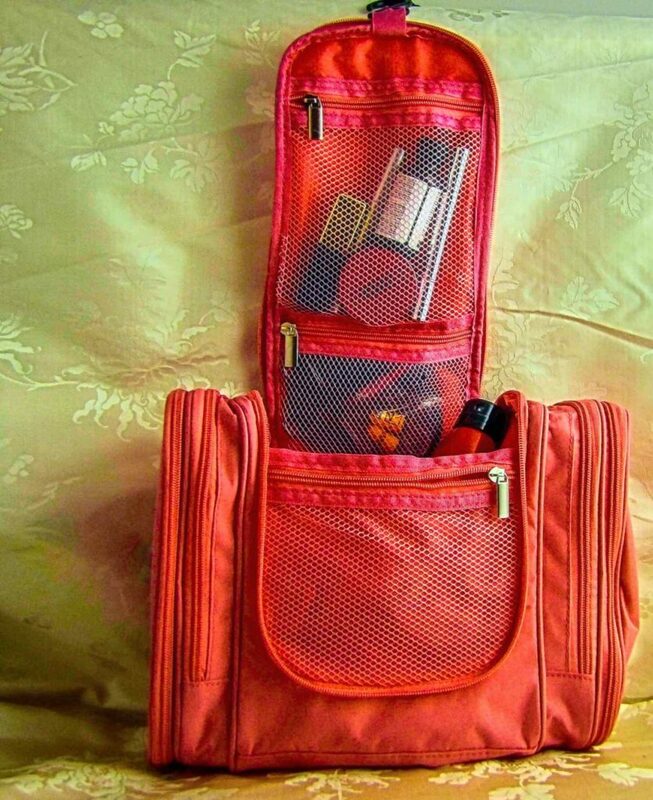 This bag would be very helpful if you choose to keep your beauty supplies with you while traveling, which I prefer to do whenever possible to keep them out of my luggage and avoid hot/cold weather extremes when luggage is in the trunk of the car. There are two internal zippered pockets for holding more fragile makeup powders or perhaps jewelry during a gym workout. I use it to hold more expensive beauty items. For example, my Hourglass powder trio is very delicate so I keep it in the box when using it outside of the house, and having a secure pocket to hold it in is very useful to keep it safe. The deep middle pocket holds a long thin can of hairspray or dry shampoo, face wash and a ton of makeup and beauty supplies, as seen in the photos. 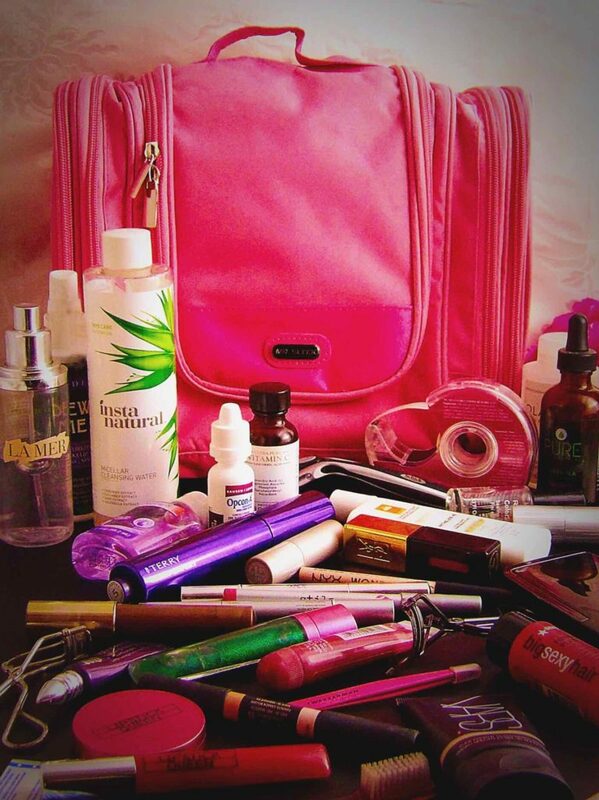 It has multiple side pockets for various makeup pencils, makeup brushes, toothpaste and toothbrush and makeup palettes. The inner side pocket is useful for holding a wallet and different cards, or a small book or journal. The pockets are deep enough to hold a full 8-ounce size tube of lotion or face wash. I carry hand cream in this pocket. CONCLUSION: Useful for carrying all your toiletries and beauty tools while traveling, post-gym workouts, or to discretely redo your look after work before a night out, the Mr. Sleek bag holds a TON of stuff in an easy-to-find internal design that keeps even delicate items securely in place. 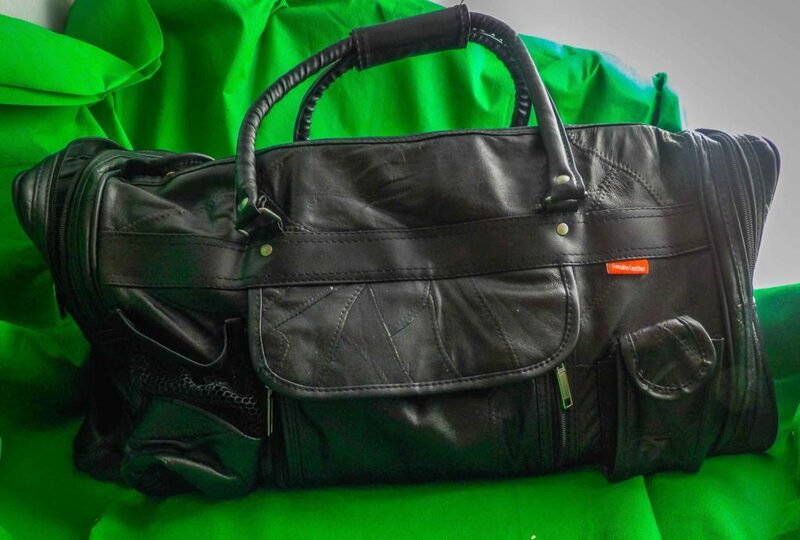 This Giovanni Navarre travel bag is 17″, not as large as a briefcase, and slightly longer than a laptop case or hobo style handbag, yet it holds lots of stuff. Not as cumbersome or heavy as a backpack or a full duffel bag, this can carry all of your gym workout wear with room to spare, especially in the summer months when workout wear is generally lighter. I am also able to carry multiple textbooks in the bag. It comes with a sturdy detachable shoulder strap and handles to carry the bag. The leather has a textured pattern; there is a zipper pull top to provide a full covered closure. There are full around zipper pockets on either end of the bag and a long deep pocket along the length of the bag. The side pockets are suitable for holding shoes, liquid containers, or dirty laundry. The pocket along the front length of the bag is long enough to hold a book, tablet, or water bottle. No loose threads scratched leather or subpar workmanship, it looks more expensive than I expected. Handles and strap are sturdy enough to hold the contents of the bag without tearing or pulling on the leather. Zippers are solid. The stone design pattern on the leather emulates the look of a more expensive bag. There is enough room in this bag for a low-maintenance last-minute overnight getaway. 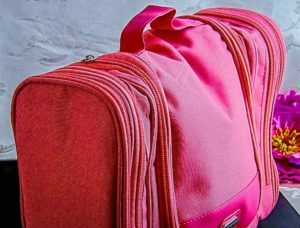 It is also roomy enough to hold all of my beauty essentials (makeup, hair styling tools, beauty products) for a trip, or for packing all the makeup and tools needed to prepare for a special occasion, makeover session, wedding, prom or photo shoot. But the reason I use it most often is beauty emergencies due to weather-related mishaps. New England weather can be tricky: it rains frequently and often unexpectedly, so hair or makeup disasters due to humidity, fog, snow, sleet or rain are almost inevitable. And on special occasion events such as weddings, or important presentation meetings with clients, looking like a drowned rat is unacceptable. On bad weather days, I bring along this bag with my trusty hair appliances and duck into an out-of-the-way ladies room (or the office building fitness center when necessary) and quickly dry or restyle my hair as needed. 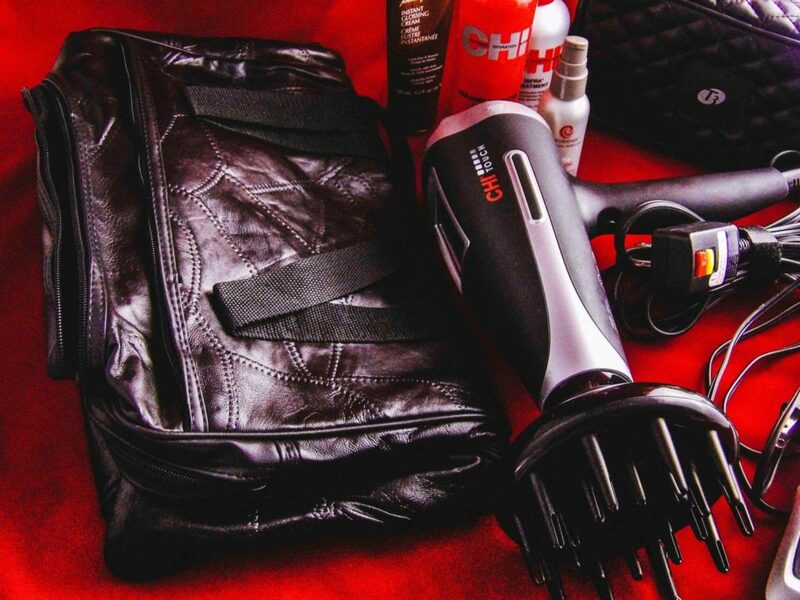 The inside of the bag can easily hold my CHI ionic HairDryer with the full diffuser attachment, a set of the T3 Hot Rollers, and a round brush. The long outside pocket can hold an InStyler to quickly straight iron and style damp or even wet hair. The two side pockets can easily hold four full-size styling products such as mousses, sprays, dry shampoos, serums, or other styling aids. I like to keep a hair towel in the other pocket just in case I get drenched, or my makeup bag if a full beauty overhaul is required. If I am leaving directly from work or the gym to go out for the night, this bag is an easy way to keep all my beauty tools in a discrete bag that looks like a large handbag. Yesterday, I used a lot of straightening emulsifier in my hair to combat the humidity. A LOT of emulsifier. And by mid-day, my hair looked gunky because of the amount of product, not the sleek waves I had in the morning. 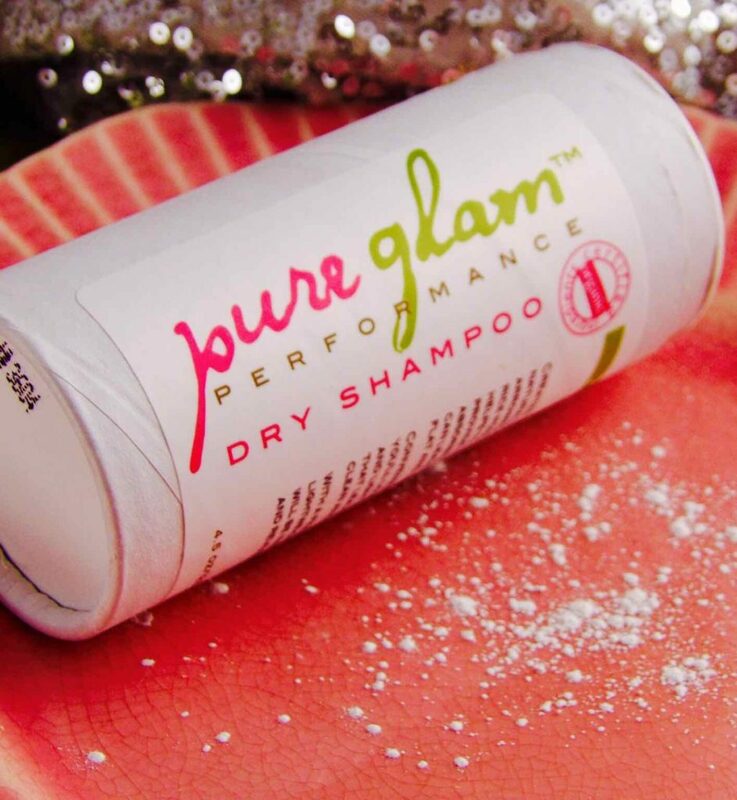 So it was time to pull out my new go-to product, Pure Glam Performance Dry Shampoo. The world was a happy, frizz-free place again. I’ve loved dry shampoo for quite some time now: it is great if you want to go an extra day or two before washing again, a lifesaver if you need to mitigate product overuse like I did yesterday, and it is the best texturizer even on freshly washed hair. Still, most that I have tried have had a downside. Some leave a shadow of white dust on hair; most leave hair dull, and some make hair feel dirtier than before you used them. None of these are problems with Pure Glam Performance Dry Shampoo. One of the reasons for this dry shampoo’s superiority is the amazing ingredients it contains. The first ingredient listed in arrowroot, which is a thickener, and is typically featured in high-end dry shampoos for its’ ability to soak up oil and freshen the hair. It also contains antioxidants like Vitamin B, and Vitamin A. Vitamin A is interesting here, as the Vitamin A derivative, retinol, has been shown in studies to promote hair growth. So (and this is me saying this, not the company), ostensibly if you are using this dry shampoo on your scalp to soak up oil, you could have the added benefit of promoting hair growth when used on the scalp. Plus, it is gluten-free! The next ingredient is kaolin clay. You are probably familiar with kaolin clay from luxurious mud masks. But in dry shampoo, it is used to remove sebum and oil and keep it from forming. So, not only do you immediately refresh your hair with Pure Glam Performance Dry Shampoo, but you get an extra day or two beyond when you use it because of the kaolin clay. The third ingredient is rice powder. Rice Powder is found in a lot of good dry shampoos, but Pure Glam mills the Rice Powder to an exceptionally smooth and fine consistency, so you get the benefits without the usual tell-tale white dust in your hair. Nice! Look at how finely milled Pure Glam Performance Dry Shampoo is! The fourth ingredient is baking soda, which is an excellent way to freshen up hair. And I love the name of the essential oil that the dry shampoo contains: Organic Cymbopogon Martini. While it sounds like quite a drink, it is a scented essential oil with light rose and geranium hints, and it also has antibacterial properties. One of my big issues with a lot of dry shampoos is the overpowering scent, but this is light and refreshing, not perfumey or chemical scented. Just light and lovely. So with all these great ingredients, how does this dry shampoo fair? I love it. As I said earlier, yesterday I had a bit of a product mishap, and then the issue was compounded by extendedly being outside in the heat and humidity. It only took a small amount blended into my roots for my hair to feel clean and smooth again. The ability to control how much you sprinkle on an area is one of the things I find superior about Pure Glam. A lot of dry shampoos that come in an aerosol can are unpredictable when it comes to how much will be deposited in an area. Not a problem with this dry shampoo! It also gave my hair incredible, luxurious volume. I worked it through the length of my hair in sections and brushed it out, and my hair had a great bounce, which is rare to get when using a dry shampoo. 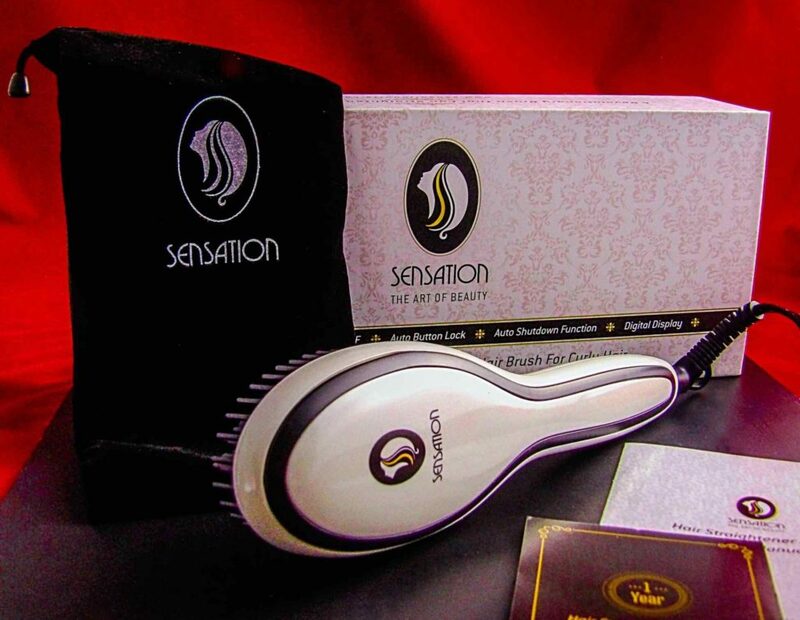 What impressed me as well is that my hair was incredibly shiny after using it: my blonde and red highlights shimmered in the sun, and the bulk of my brown hair had an incredible luster. A few strangers commented on it, which impressed me! I also love how my scalp felt in using it. 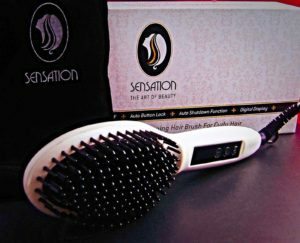 It gives a cool, refreshing feeling when it is being massaged into the scalp and roots of the hair. You know that saying “My hair hurts”? That was how I was feeling, and a nice massage with Pure Glam Performance Dry Shampoo made my scalp feel light again! I am truly impressed with this dry shampoo. It has an impressive, all natural ingredient list, smells great, cleans fantastically, and makes hair so shiny! Find this amazing Dry Shampoo at Organic Beauty Now. Style Chicks readers can get 20% off with coupon code SC20! I have never been one to pack light. This travel bag seems like a standard to larger gym bag size and style of bag, but it fits an incredible amount of stuff. It is sturdy and has lots of inner pockets to hold items such as your camera, devices such as phone, chargers, tablets, laptops, hairdryers and shoes. There are also outside pockets for items such as water bottles, sunglasses, wallet, passport, keys and other items you need to access quickly. No loose threads or subpar workmanship, it looks more expensive than I expected. Handles and strap are robust enough to hold the contents of the bag. There are two handles but also a long shoulder strap for ease of use. 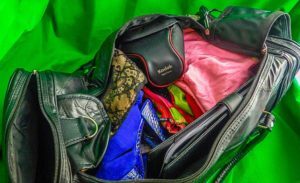 I was able to pack the following with room to spare: one pair of 5″ stiletto heels, a pair of 2″ wedge museum/walking shoes, a pair of ballet flats and a pair of sneakers. Also, it fit three cotton skirts, a pashmina for chilly nights, six t-shirts, two pairs of jeans, two strappy tops, one silk long sleeve button down; two nice short sleeves knit tops, a pair of leggings, one pair capris and one pair of shorts. Also, my camera, my Kindle, my sketch book and pencils, my hairdryer, my makeup and toiletries bag, and a lingerie bag. This all fit into the bag with room to spare, plus all the pockets were empty for last minute additions (I always seem to remember items to pack as I am heading out the door!). I like having extra room for little gifts and items I buy along the way, and additional pockets for any extra little hotel soaps and shampoos I don’t use. This bag is large enough to hold at least two pairs of men’s shoes as well, so it works for both males and females. It held up well stored in the trunk and getting shoved around with the other luggage during my travels. By the end of my trip, it was carrying lots of extra heavy stuff and got the job done. 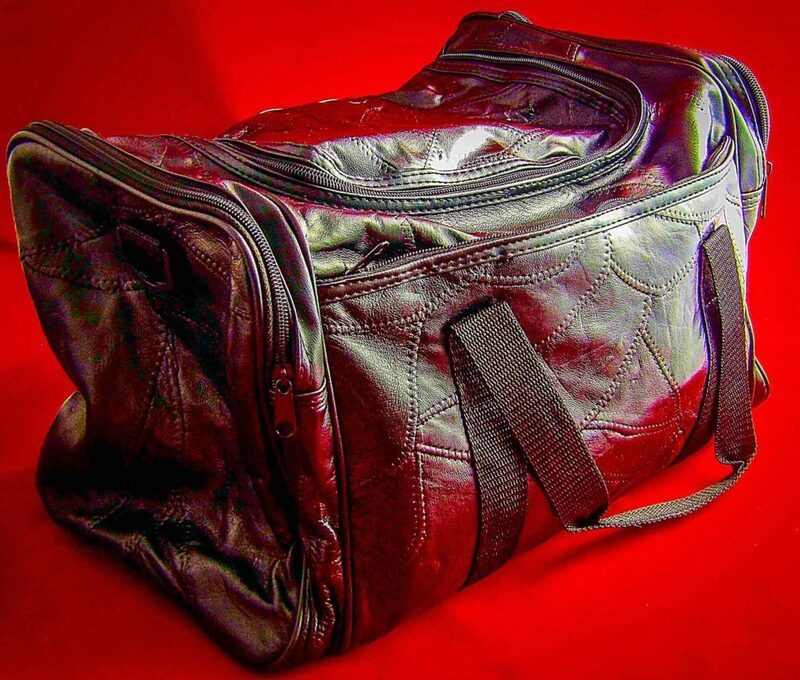 One thing I particularly like about this bag both for travel and for gym use is the compartment to store dirty clothes. I hate when traveling having dirty and clean clothes all mixed in together, or having clean gym clothes ruined by used gym clothing that needs to be washed. This bag is not just for travel; it is sturdy enough to carry heavier groceries or bottles, equipment, or for use as a gym bag. It is a very versatile bag; I have no complaints, and I am very pleased to have bought it. Find this great bag at Amazon.